REMS is the first EMS Council in Virginia to implement this program, but it is already in place in several other states. 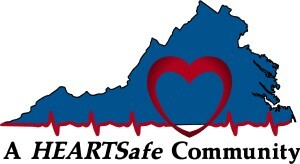 The REMS Council BOD recently approved the implementation of the HEARTSafe Virginia program. This voluntary program allows communities to collect points toward gaining this recognition through CPR training, AED availability, and pre-hospital ALS. For more information on this program, contact the REMS Council at 540-373-0249 or check out the documentation found above.